Hey guys, I’m going to solve one very common problem faced by many in this article, “the problem of writing/typing in different languages easily over internet“. In the article here I’ll provide simple guide to solve that common/general problem too by using Google Input Tools. Back to old times when I started using computer in my school I wasn’t able to understand English language in depth. I was continuously searching for some tool using which I can get it translated into my mother tongue language, Hindi. Unfortunately I didn’t find any good tool but due to it I learned English. By writing my old story, I wanted to share a common problem with you and every computer or internet user is facing this problem. If you’re a traveler or occasionally travelling to different country having different language then you will find lot of difficulties in using and understanding that new language. 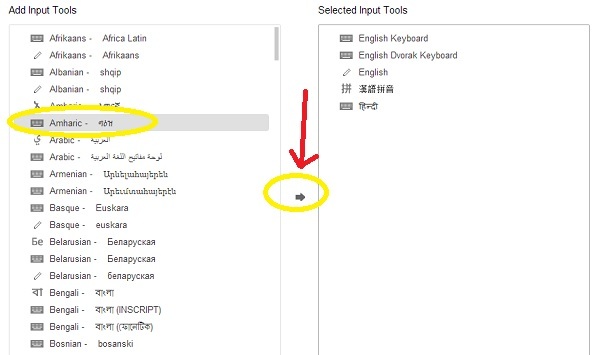 Google Input Tools is simple tool that will help you write in different languages. It supports over 70 languages and many of them support multiple input tools. The tool was introduced on February 6, 2013 and since then it got millions of downloads. You can watch the introductory video added below here. The video is awesome and you’ll love the connection shown between humanity and technology. Google Input Tools is available for Chrome (as extension) and Windows (not optimized for Windows 8 yet). If you’re not using Chrome till now then you should get it as Google Input Tools works great on Chrome and it will let you write/type in different languages online. How to use Google Input Tools? 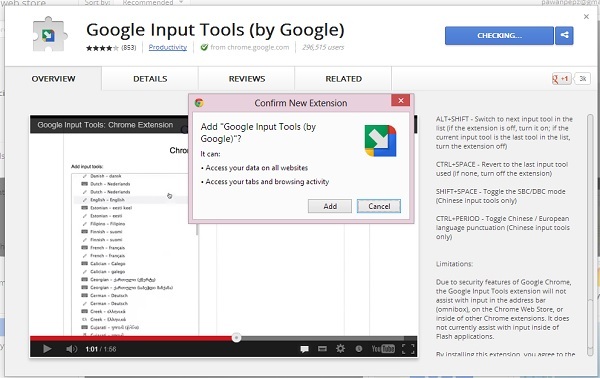 Go to Chrome Web Store and Search for Google Input Tools or follow this link. Click on “Add to Chrome” and click on Add button, the extension will be added on your Chrome browser. Click on the tool shortcut which is there next to the address bar in Chrome and click “Extension options”. First click on language you want to use and then click on little Arrow icon between two tables. This is how language will be added to the extension. Now open any website, click on extension icon and select language you want to use. That’s it! 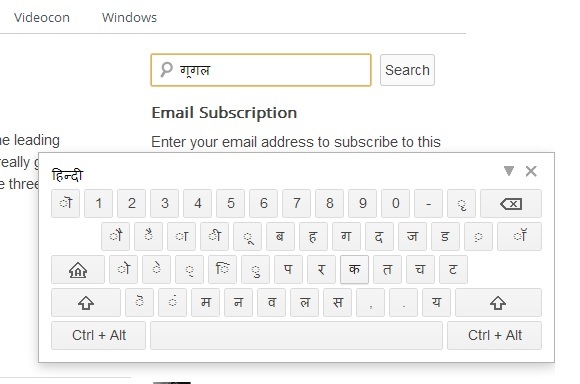 This is how you can type in any language over the internet. You can also get on-screen virtual keyboard using this tool for any language. You can also watch the short video down here to learn how to use Google Input Tools and Type/write in different languages online easily. I’ve been using this free tool from Google to Type in Hindi online and Type in Chinese online. In starting, I found little difficulty in using the tool but I quickly learn using it as its simple and also powerful. Now whether you’re travelling to new country or learning new language or want to search or use internet in different language, this tool is perfect. 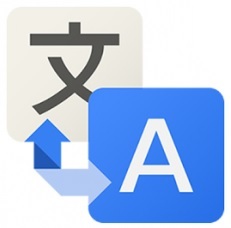 So which language you’re going to use now using Google Input Tools?